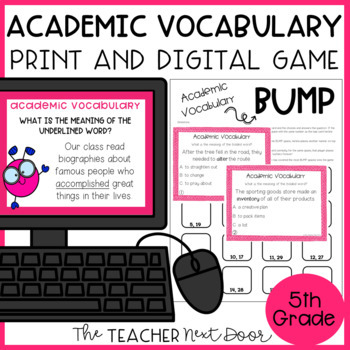 This Academic Vocabulary Game will give your fifth grade students an engaging way to practice vocabulary and word meanings using a fun BUMP game format! 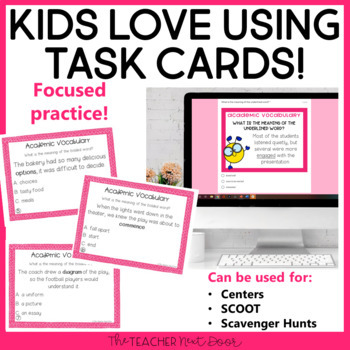 The Academic Vocabulary Game works well as a language center, for whole class game times, for test prep, for one on one, and more! 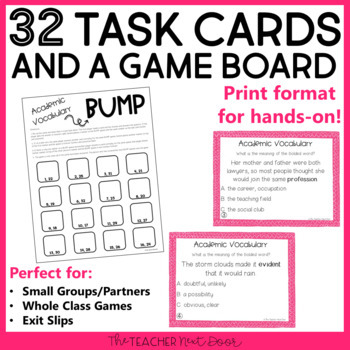 This game has a fun BUMP game format with 32 task cards. 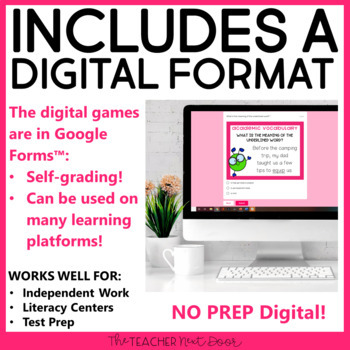 It is also included in a discounted Grammar Games Set 3, which has a total of 10 games.